Comodo Mobile Device Management 3.0: Get Control of BYOD! 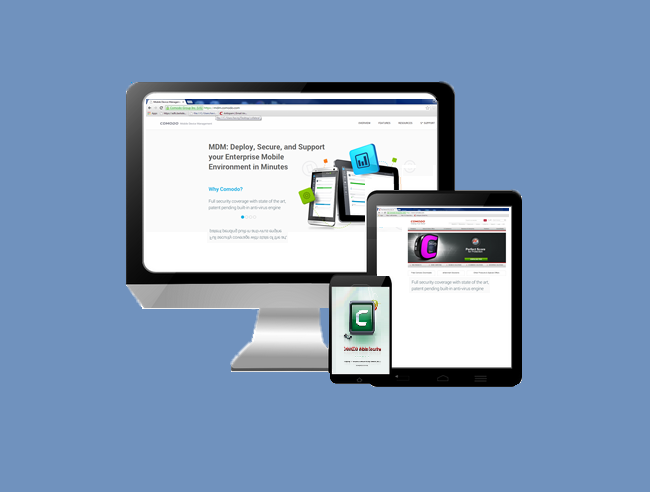 Comodo Mobile Device Management 3.0: Get Control of BYOD Today! Does your head hurt at the mere mention of BYOD? It doesn’t have to! In today’s workplace, few challenges are greater for technology administration than managing the plethora of mobile devices used by employees, who also want to use the same devices they use on the corporate network at home and for personal use. It’s tough, but there is help available. Comodo has recently released version 3.0 of its industry leading device management software, Comodo Mobile Device Management (CMDM). It provides IT administrators with a rich set of capabilities to secure and manage large-scale deployments of corporate and personal mobile devices – all from a single console. CMDM offers full security coverage with Comodo’s integrated antivirus engine, while it’s centralized dashboard allows administrators to quickly enroll then control every device on the network. Unlike other Mobile Device Management systems, Comodo licenses users instead of devices, allowing each user to enroll up to 5 devices. This makes enrollment simple and cost effective because you may not know how many devices are being used in your Enterprise, but you surely know how many users you currently employ. What’s New in CMDM 3.0? ‘Sneak-Peak’ antitheft feature: If somebody enters the wrong password on a lost or stolen device, CMDM controlled devices will automatically take a photo of the device holder and save it to server with their picture and location. Persistent VPN option: All traffic from managed Samsung KNOX devices can now be directed to your company VPN. Re-configuration wizard: Makes it easier for administrators to modify major CMDM configuration settings after installation. MS Exchange service control panel: Detailed logging and connection information improves visibility and troubleshooting with MS Exchange integrations. You can learn more by visiting: dm.comodo.com.